Ukulele Play-Along Volume 6. By John Lennon, Paul McCartney, and The Beatles. Ukulele Play-Along. Pop. Softcover Audio Online. 32 pages. 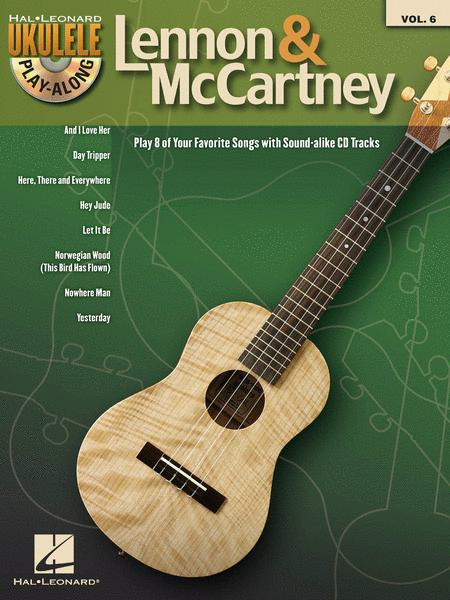 Published by Hal Leonard (HL.701723). 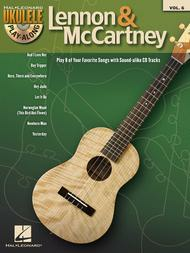 Now you can play your favorite songs on your uke along with great-sounding tracks! Just follow the written music, listen to the audio to hear how the ukulele part should sound, and then play-along using the separate backing tracks. The book includes melody and lyrics for sing along fun. The audio is accessed online using the unique code inside each book and can be streamed or downloaded. The audio files include PLAYBACK+, a multi-functional audio player that allows you to slow down audio without changing pitch, set loop points, change keys, and pan left or right.